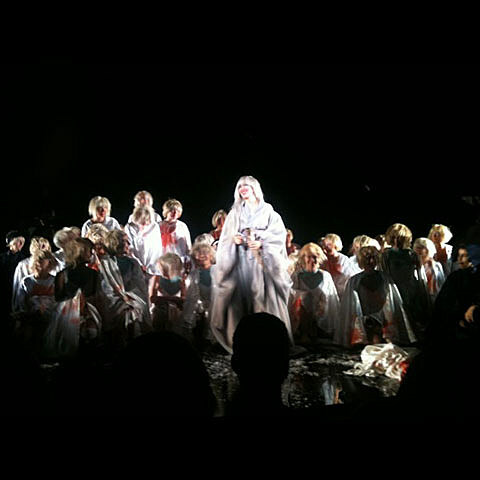 Karen O‘s Stop the Virgens debuted on Wednesday night at St. Ann’s Warehouse and continues tonight until October 22. Tickets are still available. Trailer below. 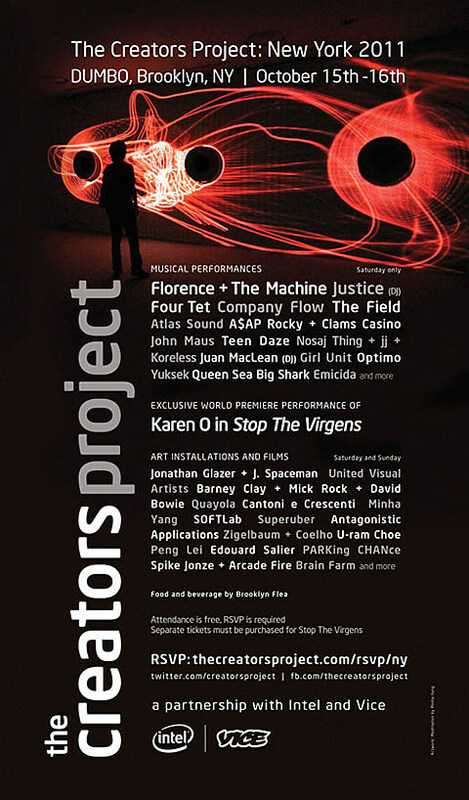 Saturday’s performance is also part of The Creators Project, which will also feature performances from Justice, Florence & The Machine, Company Flow, the newly-signed A$AP Rocky with Clams Casino, Four Tet, and many many others in addition to art installations at multiple locations in DUMBO. Unfortunately, the RSVP is closed and some people have been getting emails that dis-invite them…. oof.